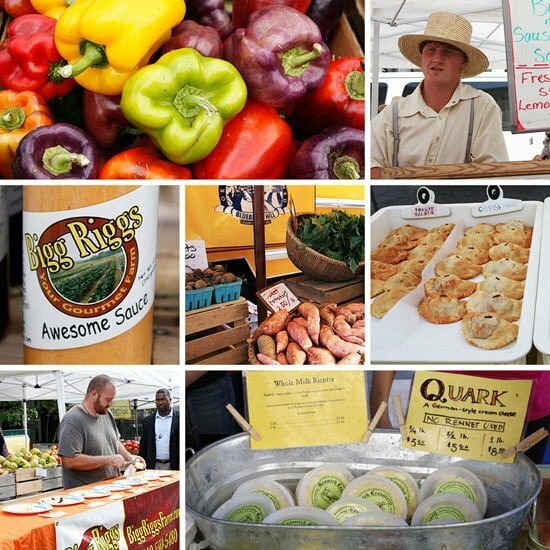 A foodie vacation is never complete without a trip to the farmers’ market, and there are 11 markets throughout the Chesapeake Bay region, Fresh Farm Markets. We went to the one across from the White House where you can find fresh fruits and vegetables, baked good, pasture-raised meats, artisan cheeses, empanadas, cut flowers, preserves and more. Later that evening, in keeping with the theme of eating fresh and local, we went to the swanky Adour at the St Regis Washington, ranked #5 best restaurant in the Washington D.C. Metropolitan Area by The Washingtonian Magazine in January ’11. There we had a five-course meal from the vegetarian tasting menu using the produce from the market. Shooting at night with artificial light is not how you want to photograph food, so keeping that in mind, here is a peek at a few of the dishes we had. 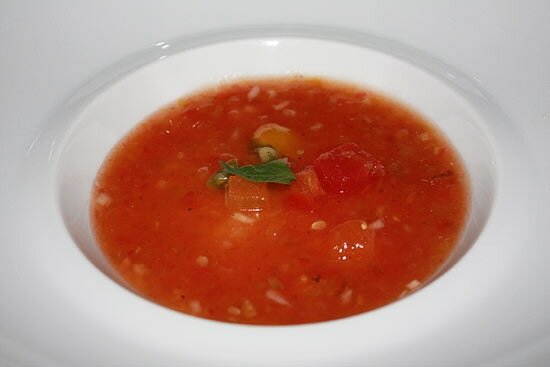 Chilled Heirloom Tomato Gazpacho with Compressed Watermelon – This was probably the best gazpacho I’ve ever had. The Rainbow Beet Salad with Goat Cheese Cream and Candies Walnuts was as delicious as it looked. 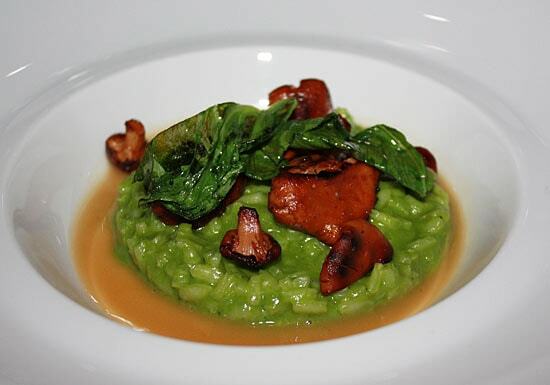 And the Parsley Risotto with Mushrooms… amazing! 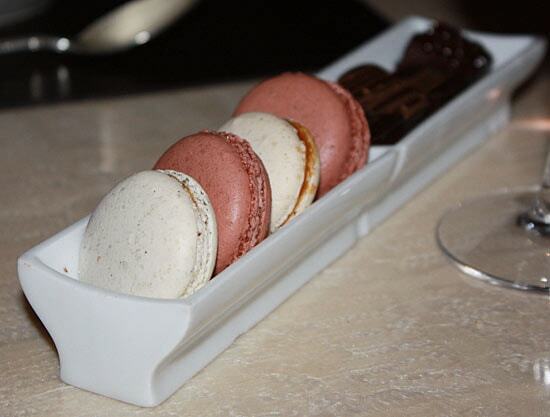 How I wish I had some of these macarons here with me now! 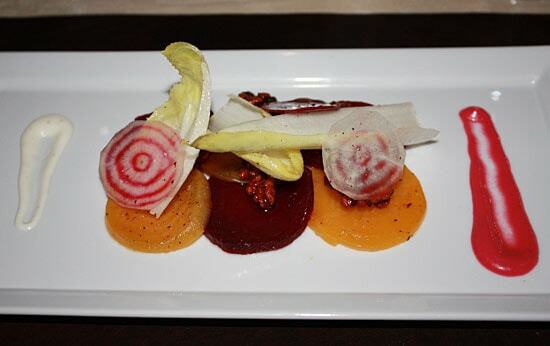 We are lucky in Vermont to have so many restaurants that are committed to using local foods, first. It really is such a treat! I live in the DC area. Next time you visit, let us know so we can fill you in on the local spots. Plus to meet up and thank you in person for all your wonderful recipes. I love my local farmers market! Great photos! and the food… oh my! I would imagine you could find all that info online by doing a google search! Thanks for sharing! Looks like it was a fabulous meal. Farmer's Markets are wonderful…how do you find the best onew when traveling? The St Regis was beautiful!!! If you can afford it, go!! Elise, I'm not surprised, the farmers come from several different states since DC is right in the middle. That's the same cheese I've been buying! But not at the DC market. 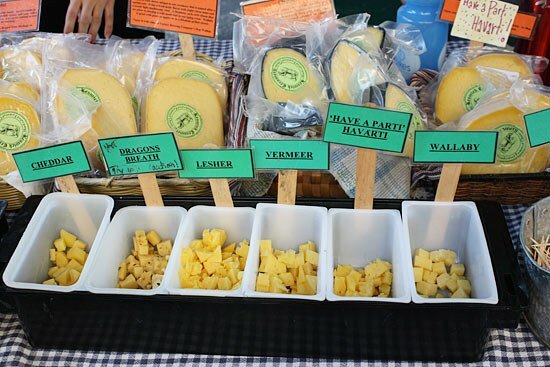 I've gotten their cheese at the market in Carlisle, PA. Right now the quark and ricotta are in my fridge and will soon be joined by one of the hard cheeses later this week! Gina, this looks like a dream come true; what a fantastic post; you described everything so right. Markets are my thing for sure. 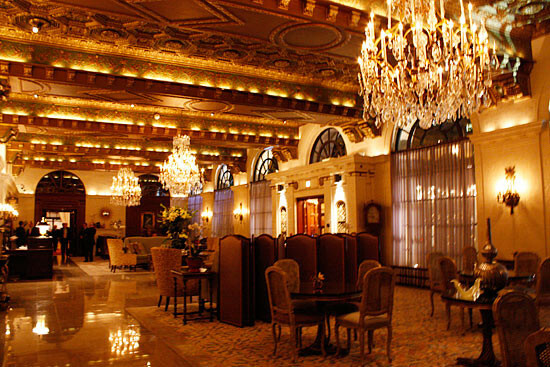 We were looking at staying at the St Regis and this might've cinched it for me. Gorgeous and with food like that available, heck yeah! Thanks Susan, we crammed a lot into 3 days but it would have been nice to stay longer. That Parsley Risotto with Mushroom Looks amazing… and so do those macaroons! Yum! Yes, they had Quark, I didn't get to sample that one but I tried a lot and took the Wallaby home. This is a great post.I totally agree knowing your farmer is a good idea. Love this! if only I could MAKE the 'roons and have them look as lovely….